Dim sum, a distinctly active and fun style of Chinese dining, is a Cantonese tradition. It began in small roadside teahouses, which served simple snacks and hot tea to travelers making their way along the legendary Silk Road. Over centuries, dim sum transformed into the loud, boisterous and internationally popular style of eating that it is today. This is the perfect meal for large groups, since it's built around small, shareable dishes that diners choose from carts that rove around the dining room. There’s a wide selection of both sweet and savory foods, typically ranging from thin-skinned har gow (shrimp dumplings) to braised chicken feet to fried, glutinous sesame balls filled with sweetened red bean paste. Traditional dim sum restaurants exist all across the country. 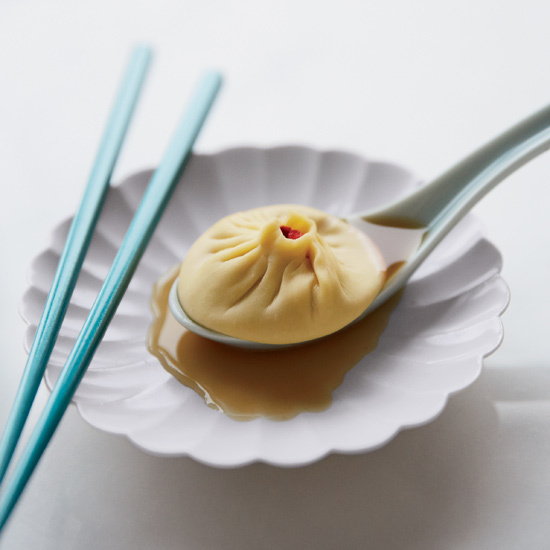 And a few forward-thinking restaurateurs, most notably State Bird Provisions in San Francisco, have introduced nontraditional dim sum, offering non-Chinese dishes in the same format. While most diners eat dim sum in restaurants (typically at brunch), you don’t have to leave the house to experience these dishes. It takes a bit of effort to make your own shumai (steamed dumplings) and char sou bao (barbecue pork buns) at home, but the results can be extremely rewarding. You might think the dumplings at your local dim sum restaurant are fresh, but they’re nothing compared to a steamer basketful straight off your stove. 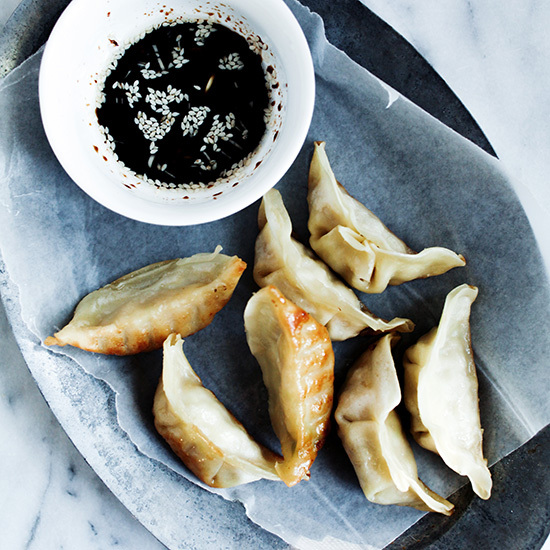 Here, we present our best, most delicious recipes for do-it-yourself dim sum. The dishes include classics like cozy congee (Chinese rice porridge) and soup dumplings stuffed with pork, crab and rich broth, along with some new takes on old-school recipes, like crispy fried squid dusted with Chinese five-spice powder and gluten-free pork potstickers. So make a big pot of tea, break out the chopsticks and enjoy a homemade brunch of delicious dim sum dishes. 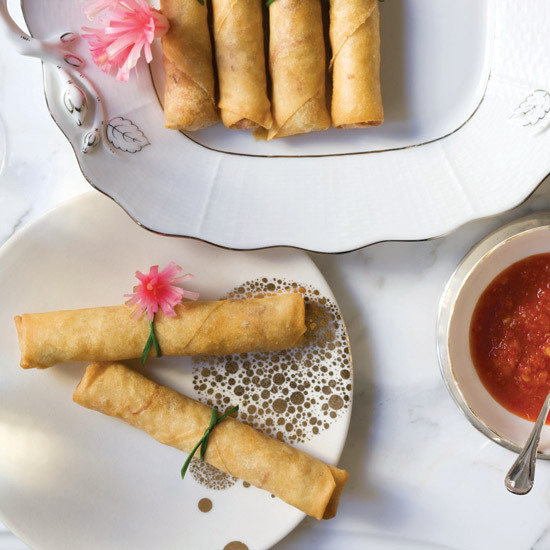 Zang Toi's supremely crispy spring rolls are filled with a mix of marinated shrimp, ground pork and a handful of colorful julienned vegetables, like carrot, jicama and beans. These fresh, light corn-and-shrimp dumplings from F&W's Kay Chun are a cinch to make. 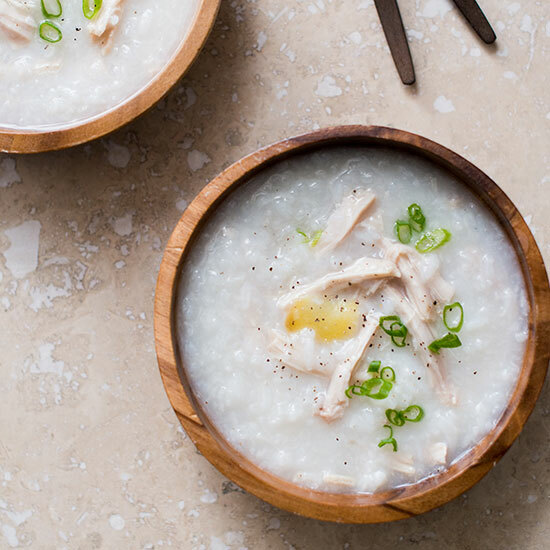 Healing like chicken soup, this light Chinese congee has shredded chicken and is fragranced with fresh ginger. 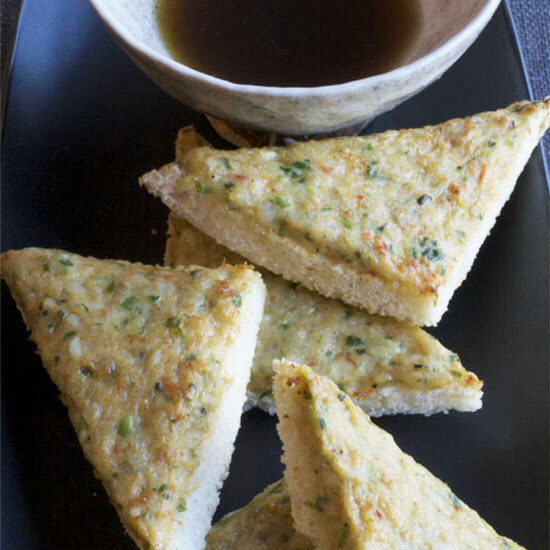 These supersavory toasts feature pureed shrimp and crunchy sesame seeds. 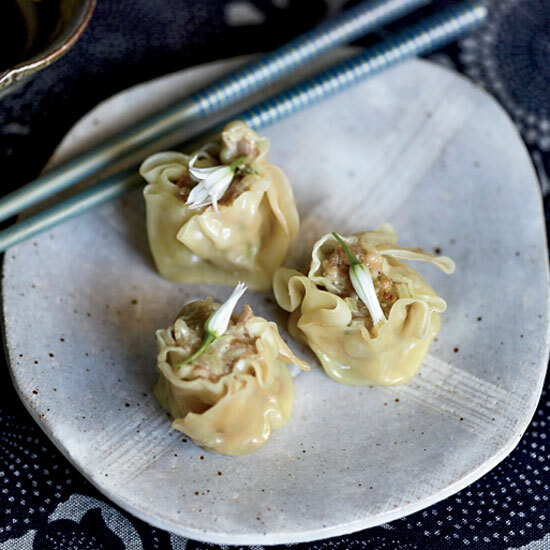 Wonton rappers make quick work of these delicate dumplings from chef Martin Yan. 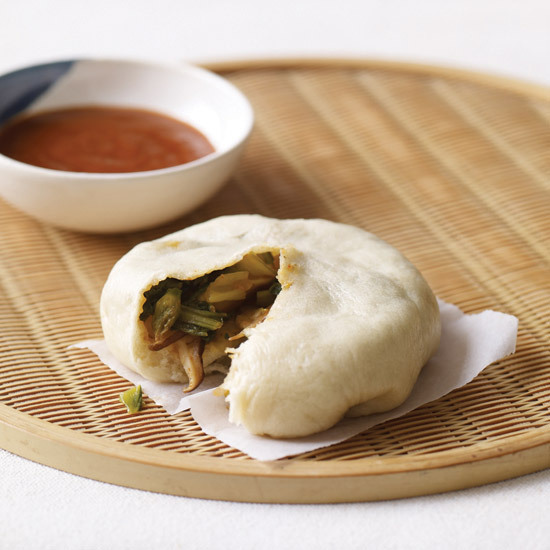 A blend of mild bok choy with spicy mustard greens and oniony Chinese chives fills puffy, savory buns. These excellent gluten-free dumplings are made with sweet rice flour, Napa cabbage leaves, ground pork and tamari. 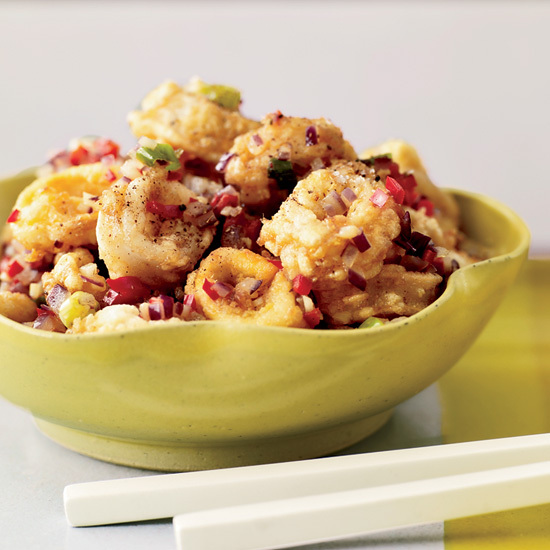 Wendy Leon gives this classic Chinese squid dish a fun twist by flavoring it with five-spice powder (typically a ground mixture of cinnamon, star anise, black peppercorns, fennel and clove). 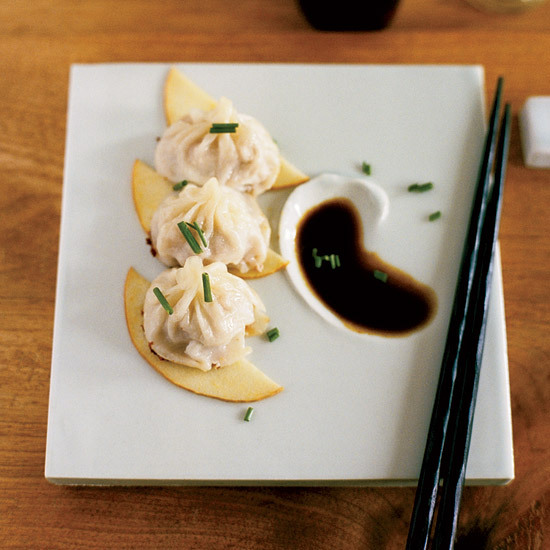 Because he's based in California, Sylvan Mishima Brackett uses Dungeness crab to make these open steamed dumplings, but any lump crabmeat will work well. 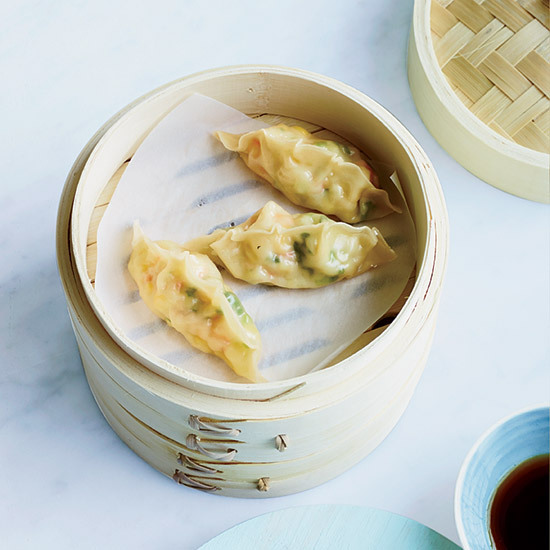 The dumplings are juicy and flavorful on their own, so they're best served simply with just a little Chinese mustard and soy sauce, for dipping. 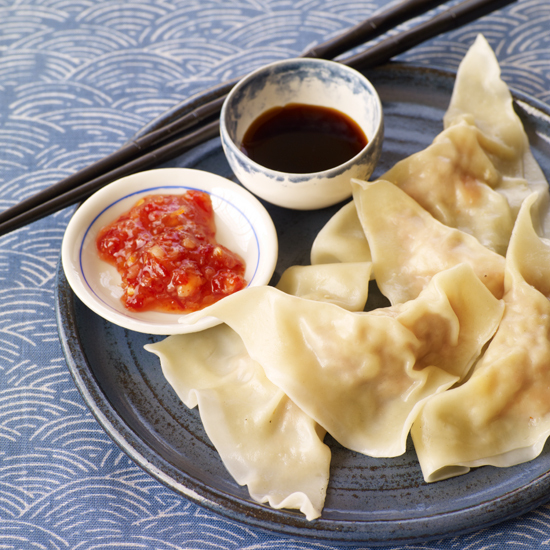 Han Feng makes her delicate dumplings with gyoza wrappers and a simple pork filling. She first fries her dumplings in a skillet, then adds water to the pan to steam the dumplings so they're tender, juicy and crisp.